CHAMPAIGN, Ill. — James D. Anderson will become the dean of the College of Education effective Aug. 16, pending approval of the three-year appointment by the University of Illinois Board of Trustees. He served as the college’s interim dean the past academic year. Anderson has held key leadership roles during his tenure at Illinois. He is a member of the National Academy of Education, an Edward William and Jane Marr Gutgsell Professor of Education, and a Center for Advanced Study professor. He has served as the head of the department of education policy, organization and leadership; the executive associate dean for the College of Education; and as the University of Illinois Presidential Fellow in the 2015-16 academic year. 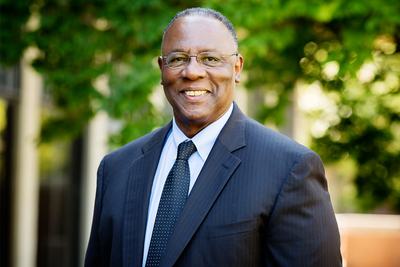 He is an internationally recognized and groundbreaking scholar in the history of African-American education and school achievement in the U.S.
John Wilkin, the Urbana campus’s interim vice chancellor for academic affairs and provost, recommended the appointment of Anderson to Chancellor Robert Jones after the conclusion of a national search that ran throughout the last academic year.